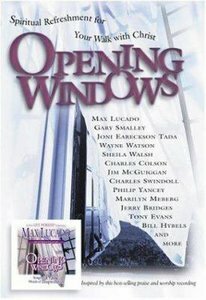 Inspired by the praise and worship recording featuring Max Lucado, this book is sure to change hearts, challenge lives, and deepen even the deepest faith, Various authors blend their tremendous talents to create a powerful book for Christian living. Jim McGuiggan, a powerful speaker and seasoned writer, has written numerous inspirational books, including "The God of the Towel, Jesus the Hero of Thy Soul, Where the Spirit of the Lord Is . . ., Let Me Count the Ways", and "Celebrating the Wrath of God". Born in Belfast, Ireland, McGuiggan has studied and taught the Bible in America at both the graduate and undergraduate levels. Since he and his wife of 44 years, Ethel, returned to Ireland, he has worked with a congregation of God's people outside of Belfast.